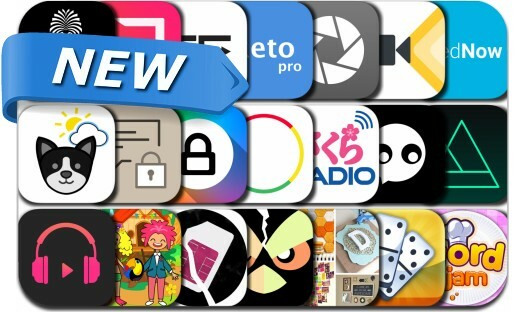 This new apps alert includes Crossword Jam: Fun Brain Game, IGetPic - Instant Repost Photo, Domino World AR, Slør, Panda Puppy Weather, Another Lost Phone: Laura's Story, Metronome with Presets Pro, Music O2, Crazy Swirl, Room Design - Room Planner, MagicArt - Custom Backgrounds and many others. Domino World is the evolution of a classic childhood pastime. Create incredible virtual domino courses quickly and easily in the world around you, using an assortment of tiles, props and toys. Watch as the dominoes topple over and restart a new course with a simple click of the button. What will you build? Your imagination is the only limit.